At this point you should be already decided about the customer satisfaction metric you are planning to use and the distribution channel, which is “email template” in this case. Every step is the article is the same for CSAT, NPS and CES. Manual will show you steps with CSAT example. 2. 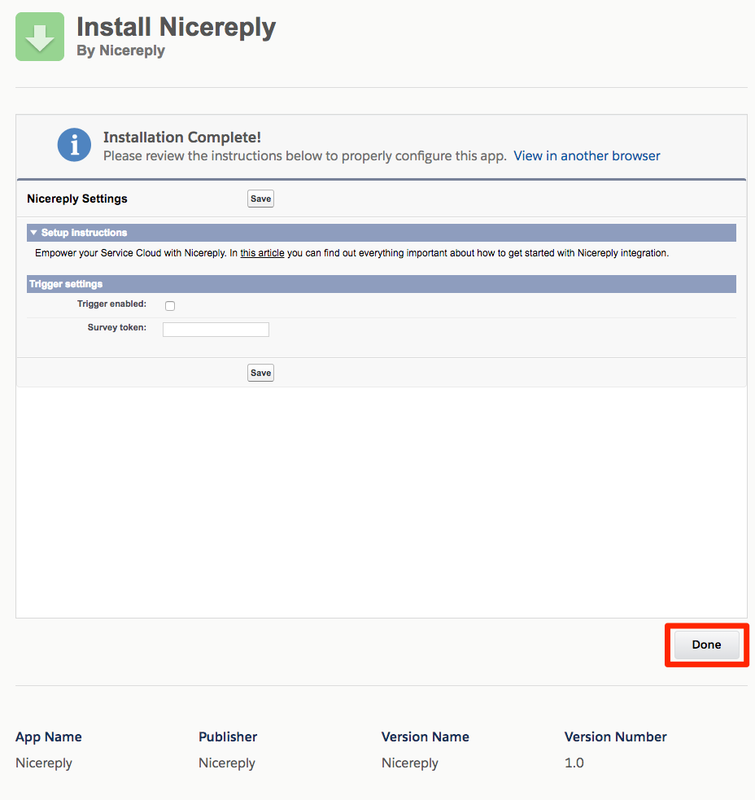 Start your 14-days free trial on Nicereply, if you don't have an account already. Sign-up here. 3. Pick one the customer satisfaction metric, CSAT, NPS or CES, you want to start with.Click on “START WITH CSAT/NPS/CES”. 4. From distribution options choose “EMAIL TEMPLATE”. 5. You’re on the app directory page now, click on Service Cloud (SalesForce) Sandbox icon. 6. 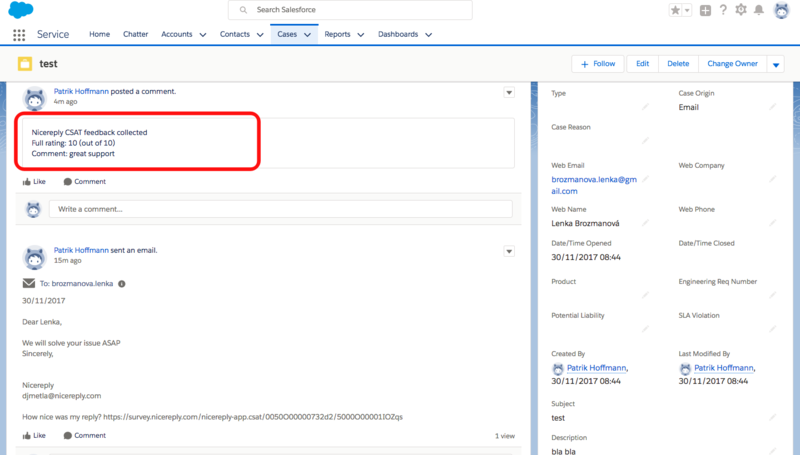 In the next step log in into your Salesforce Sandbox account, and then when asked whether you want to connect Nicereply with Salesforce click Allow. 7. Click Continue to import your agents. You're on the good way! 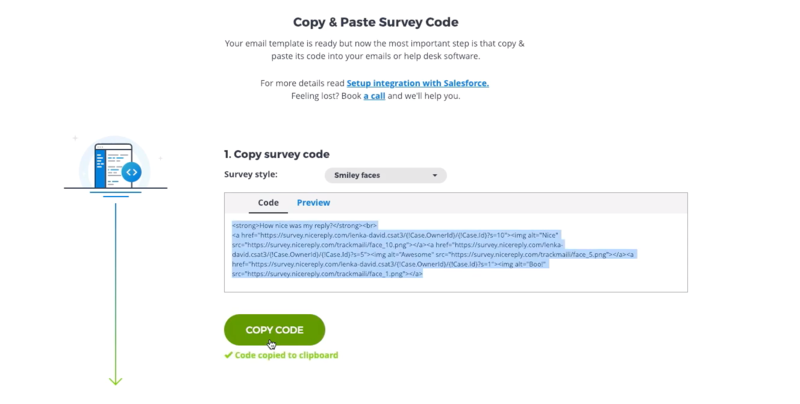 To collect customer feedback, you need to place CSAT code (smiley faces) into your ServiceCloud Sandbox email templates. 5. Go to your Service Cloud Sandbox account > click Setup > Email > Classic Email Templates. Then click New Template. 6. In the next step you need to choose the type of email template you would like to create. Choose Custom and click Next. 7. Now insert email template Name, Folder where you want to store it, and allow available for use option. Then click next. 8. Now enter the subject of your new email template. Then switch back to your Nicereply account and copy code for smiley faces URL, then paste it into the HTML body. 9. Now we need to create text-only version. 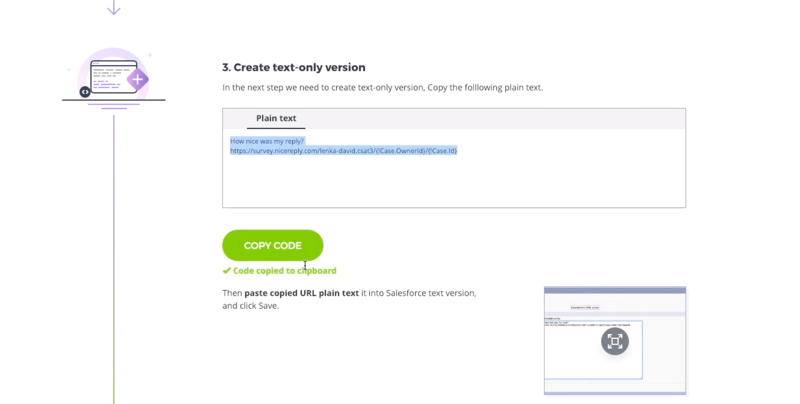 To do this Go back to Nicereply, scroll down, copy the text-only version and paste it into Salesforce text version. Don't forget to click finish setup in Nicereply account. 10. 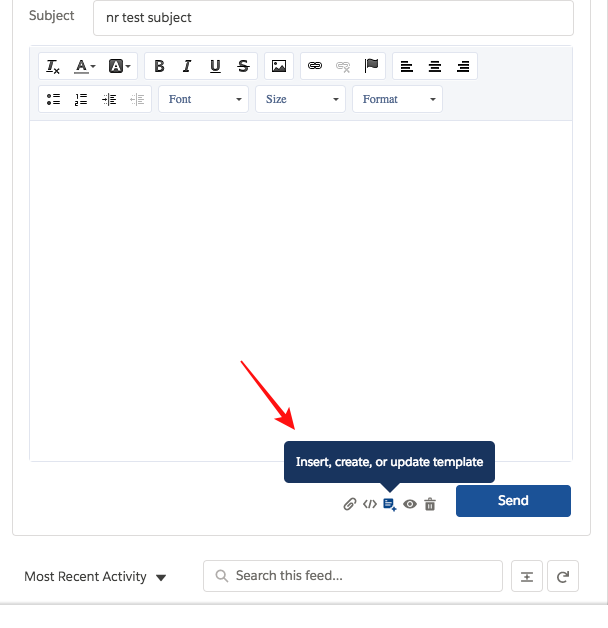 When you'll want to use your new Nicereply template when replying to a case, open that case, click email, and then click insert, create or update email template. Click insert email template. 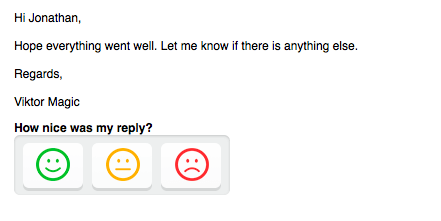 Then choose your new Nicereply email template. 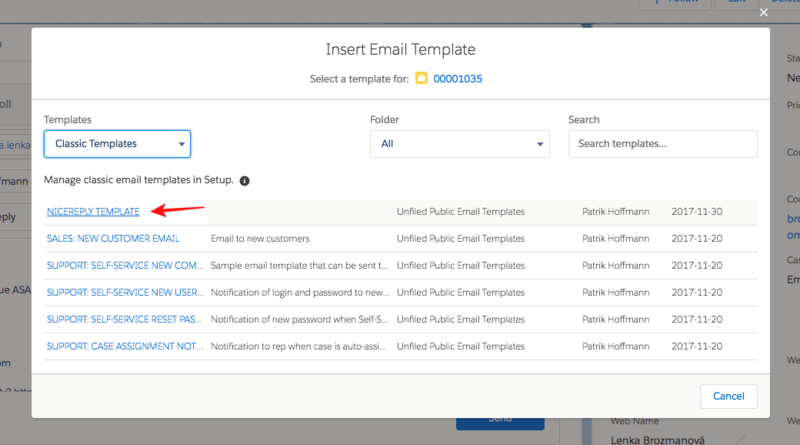 If you want to set the email template you've created as default follow these simple steps. Your email templates will now contain CSAT (smiley faces) and all collected ratings will be stored in Nicereply under CSAT tab. 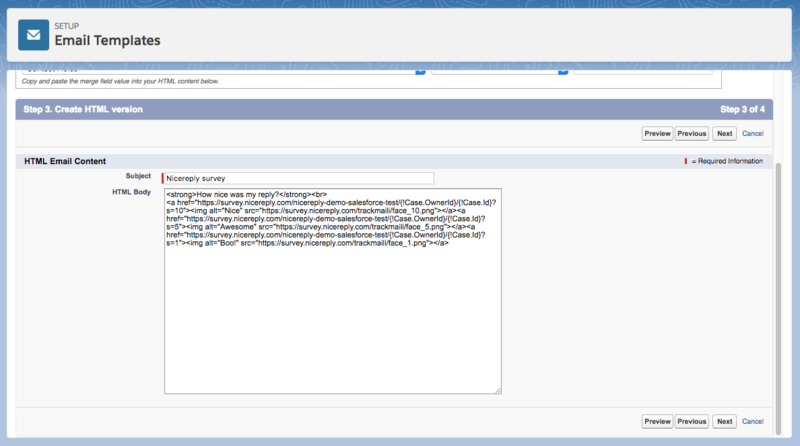 And rating value and comment is polluted in your Service Cloud Sandbox case.